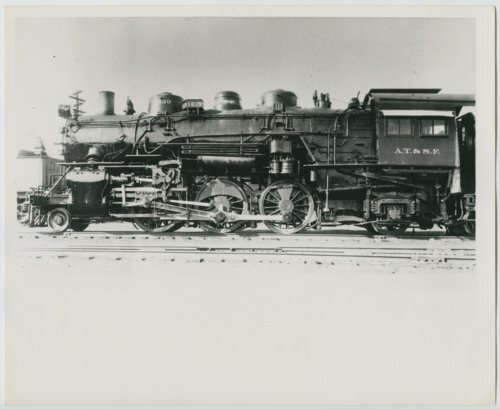 This photograph shows the Atchison, Topeka & Santa Fe Railway Company's steam locomotive #1839, 2-6-2. The locomotive was primarily used in freight service on level territory. The caption on the back of the photograph provides details about the engine.